How to Train Your Dragon is what James Cameron’s Avatar was trying to be. It’s a great movie filled with emotion, action and interesting characters. As a bonus, it has a subtle message that is so central to the film that it’s easy to miss the first few times you watch the movie. Avatar, on the other hand, tries very hard to make the audience care about boring characters and it throws tired action sequences on the screen every now and then that look more like they were directed by Michael Bay than the usually creative Cameron. Its message is hammered into the audience’s head so frequently and obviously that it gets a bit pretentious. The funny thing is that both of these movies follow virtually the same path almost the whole way through, but they arrive at completely different conclusions. Plus, How to Train Your Dragon is a fun movie I could watch over and over and never get tired of, while Avatar is dull and difficult to sit through all the way to the end. In How to Train Your Dragon, the main conflict is between a village of Vikings and a group of dragons. The dragons keep pillaging the Vikings so, to get the dragons to leave them alone, the Vikings strike back at their nest. A young Viking named Hiccup befriends a dragon instead of killing it. He names the dragon Toothless. Toothless’ tail wing is damaged so Hiccup builds a new one for him so they can fly together. Eventually, Hiccup faces a turning point when he chooses the dragons over his people and is disowned by his father. However, he and some friends come to the rescue of the Vikings as they face the ultimate dragon. Hiccup destroys the beast by using what he learned from Toothless. In the process he loses one of his feet, so now he and Toothless truly need each other to be whole. The Vikings are reconciled with the dragons and they work together to build a better future for everyone. Isn’t that a great story? Now let’s compare it to Avatar. In Avatar, the main conflict is between a group of humans and a group of aliens called the Navi. 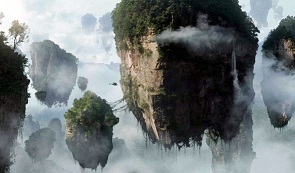 The humans have come to the aliens’ home world of Pandora to find a substance called Unobtainium, and it’s located under the Navi’s giant tree home. The humans want to get the Navi to move to a new home. A crippled marine named Jake Sully has his mind linked to an alien body (an avatar) so he can befriend the Navi and ask them to move. Eventually, Sully faces a turning point when he chooses the Navi over his people and is forced to flee for his life. He leads an army of Navi to defend their home against the invading humans. They somehow win, even though they’re using bows, arrows and stones while the humans have advanced military equipment and probably even nuclear bombs. In the battle, Sully’s human body almost suffocates when it’s exposed to the harsh alien environment. He finds a way to transfer his spirit into his avatar so now he’s become fully alien. The Navi force the humans to leave Pandora at gunpoint and go back to living in harmony with nature, except that now they have guns. How did Avatar go so wrong? Let’s talk about the specific differences between these two films. In How to Train Your Dragon, Hiccup is unwilling to kill a dragon at the beginning. Despite all that he’s been taught about dragons, he still feels bad about attacking them for no reason. Later, he tries to teach this lesson to a girl named Astrid when she is about to attack Toothless. She thinks she’s defending herself against a deadly threat, but she is really just aggravating a tense situation. Toothless devises a plan to get her to stop using violence by scaring her half to death on a rough flight, but then being gentle after she stops being so stubborn. His plan promptly wins her over. 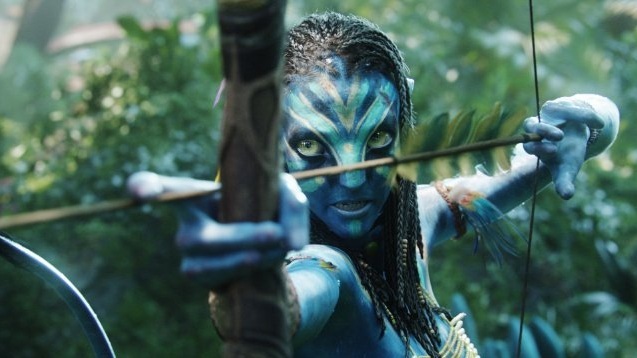 In Avatar, a female Navi named Neytiri has to teach Sully (in his avatar) not to kill animals, even to defend his life. She notes that everything is interconnected and so she can feel the pain of the creature he just wounded as it dies. As part of learning the Navi’s ways, Sully has to bond with a dragon. This bond will supposedly be for life, but it turns out to be much less permanent because he later leaves his dragon for a much fiercer one. This makes the dragons feel more like plot devices instead of meaningful characters like Toothless. This sends ironic messages since the Navi later have no problem killing humans and putting themselves, their dragons and other wildlife in danger of dying in a big attack on the humans rather than taking a more peaceful route. In its first minute, How to Train Your Dragon establishes the imminent danger every character faces. Dragons are ransacking the Vikings’ village, stealing their food and burning down buildings. Hiccup is in mortal danger and accidentally causing trouble at almost every turn. 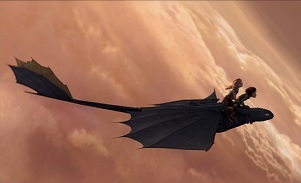 In the movie’s most thrilling sequence, Hiccup takes his first flight on Toothless. 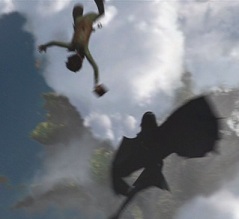 Soaring high into the air, Hiccup suddenly loses his grip and the two begin to fall out of control. As they fall, they have to communicate and think quick to avoid dying. Luckily, Hiccup is able to angle himself back onto Toothless and then steer through a maze of rocks. This scene is so exhilarating because the characters come so close to death and then use their brains to survive. 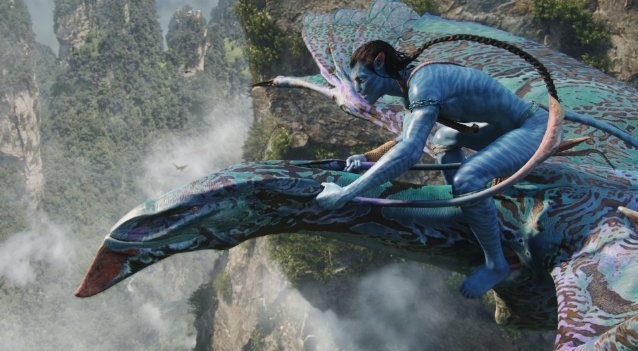 A major flaw in Avatar is the lack of danger. The moment Sully lands on planet Pandora, he’s told that it’s a hostile environment full of danger at every turn. But everything seems perfectly peaceful in the camp, and the rest of the planet appears to be mostly populated by beautiful flowers and nice-looking special effects. There are some predators, but even those don’t pose a threat because Sully and his friends only leave the base in avatars, so their real bodies are never at risk of being hurt. The film tries to make a big deal about Sully being stranded in the jungle one night. But the worst thing that could happen is his avatar could be destroyed, which would be inconvenient, but not life-threatening. Unlike Hiccup, Sully has nothing to fear if he falls off his dragon. Most of the danger and tension Avatar tries to create is fake, thanks to its cartoony special effects and fatal story flaw. Yes, How to Train Your Dragon is a 100-percent cartoon, but I would argue that makes it more realistic than Avatar because we’re not reminded every now and then that what we’re watching is a cartoon by seeing live-action footage mixed with it. Both Hiccup and Sully have to learn a lot of new things to fit in with a new culture. Hiccup restores what he took away from Toothless and they both grow to care about each other in the process. It’s a beautiful relationship to see play out onscreen. They learn to communicate through their facial expressions, touch and voices. Hiccup is startled when, after spending so much time with dragons, he discovers, “Everything we know about you guys is wrong.” The Vikings don’t need to kill the dragons to get what they want. They just have to figure out that both they and the dragons want the same thing: to live in peace. Sully struggles to learn a new language and culture among the Navi. Neytiri tutors him and conveniently falls in love with him to make sure he faces a dilemma about which side he’s really on. Unlike How to Train Your Dragon, Avatar forces the hero to take sides against his fellow humans right up to the end of the movie. One side is completely right and the other is completely wrong. There’s no gray area. In How to Train Your Dragon, both sides make mistakes and think they’re doing what’s best for themselves, but when they figure out what’s really going on they work together to solve the big problem. In Avatar, the humans are motivated purely by greed and there’s no reasoning with them. They have to get what they want at any cost so the only option is for the Navi to fight against them. If the humans were a little more complex, maybe we could understand both sides better and feel more of Sully’s conflict. But the movie instead opts to be totally one-sided and thus emotionally boring. One of the best things in How to Train Your Dragon is the complex relationship between Hiccup and his father, Stoick the Vast. Hiccup is almost nothing like Stoick. He’s short, skinny, socially awkward and inventive, while Stoick is tall, broad and a respected leader. He is also intelligent, but in different ways than Hiccup. He’s able to analyze situations and try to turn them to his advantage, which is probably how he worked his way into a leadership position. Hiccup, similarly, becomes a leader through his inventiveness and by being the only one with a plan at the end. Stoick isn’t a bad guy; he just doesn’t understand why the dragons are constantly attacking his village. It seems perfectly natural to defend his friends’ lives by killing dragons and trying to get them to move from their home. 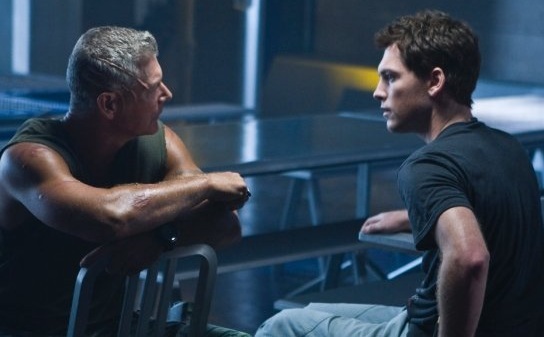 One of the things that really falls flat in Avatar is the relationship between Sully and Colonel Miles Quaritch. They share a few conversations that don’t serve much purpose but to try to build conflict. Quaritch could have been an interesting character if the film had made him at least partly conflicted about his role in unfairly treating the Navi. Instead, he’s just presented as an irrational character who blindly moves the plot forward by being arrogant and unreasonable. He’s not interesting and neither is his interaction with Sully. 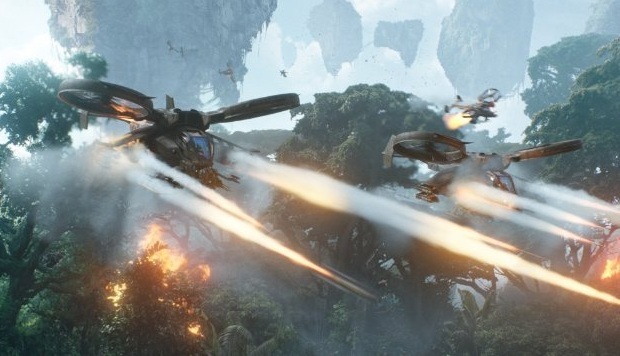 The villains in Avatar are little more than stereotypes of evil business and military. This is too bad because James Cameron is usually good at delivering strong motivations for his characters and at least some qualities that make them memorable and interesting. Private Vasquez is much more interesting than Trudy Chacon, Ellen Ripley is far more memorable than Grace, and Corporal Hicks is more complex than Sully’s bland character. How to Train Your Dragon is effective at getting its message across because it doesn’t present humans as irredeemably evil. They kill dragons not because they’re bloodthirsty or seeking power, but because they’re defending their families and it’s what they’ve always been taught to do. A smart thing the film does is to have its setting in a time and culture we’re unfamiliar with instead of taking our present culture to a negative extreme, like in Avatar. We can see ourselves in the characters because they’re human like us, but we don’t have to be hit over the head with the idea that this is what we are right now and we have to change or else. By putting humans in such a bad light, Avatar alienates its audience and presents a position that is unfair and uninteresting. Perhaps if the film had set up a Star Trek-like dilemma in which the substance they were looking for had the power to save millions of lives, it would have been more interesting. They tried that with Star Trek: Insurrection, which turned out to be a lackluster film in the series, but I’m sure in James Cameron’s capable hands it could be put to good use. But no, the villains are only motivated by greed. That’s boring. That means they are just being set up to eventually lose rather than coming to an understanding with the aliens that they are both at least partially wrong. How to Train Your Dragon is a great movie because it tells a strong story that just so happens to have a great moral at its core. Avatar is not a good movie because it spends all its time trying to send a message instead of letting that message grow organically from an engaging story. The photos from Avatar and How to Train Your Dragon are the copyright of their respective owners. This entry was posted in Message Movie Battle and tagged action movies, animated films, avatar, films, how to train your dragon, james cameron, movie review, movies, science fiction, special effects. Bookmark the permalink. Thank you very much. How to Train Your Dragon has one of the best soundtracks I’ve heard in the last few years. I especially love that song when Hiccup and Toothless start to become friends. Beautiful stuff. Interesting thoughts and comparisons here, but I thought of a few things to add. I have to agree when you said that the humans of Avatar were completely motivated by greed. But you have to think, from the opening scene, it is clear that corporations run the planet and have stripped it of its resources. What other motive would drive a company (which is probably the only thing that can field a colony in the future) than untold profits? Thats what drives corporations now. I think Cameron was just being a realist, and that the humans that are responsible for delivering a profit are just trying to do their jobs. And not all the humans were evil, the entire science team were on the good side, at the end when lines had to be drawn. I liked both, but these are two totally different kinds of movies. How to Train your Dragon was seemingly built around the moral at the end, that all people can live together if they work it out. But Avatar was just a “what would happen if” humans wanted to mine a faraway moon. There was no moral at the outset, it was like a war story kind of thing. I never thought about this, but you are so right. I loved How to Train Your Dragon – I was so pleasantly surprised by it, considering all the dumb computer animated stuff out there now. Avitar was such a disappointment, not to mention its story line right out of Disney’s Pochahontas. And there was absolutely no humor in it, except for Sigourney’s “Ranger Rick” line. I appreciate your comment, Patrick. I’m so glad I could share a new way of looking at these movies with you. I agree it’s really hard to trust animated films nowadays when everyone has jumped on the CGI bandwagon. I heard amazing things about Despicable Me, but when I sat down and watched it I never laughed during the whole thing. It was formulaic and boring to me. Luckily, I saw Megamind soon after and I thoroughly enjoyed that movie. How to Train Your Dragon is so good because I thought I had it pinned down from the very start. Here’s a social misfit who’s going to learn an important lesson about bravery. But I instead got a delightfully unpredictable story, lots of memorable lines and moments, and a real emotional attachment to the characters. I am impressed by the thought and effort that went into this film. 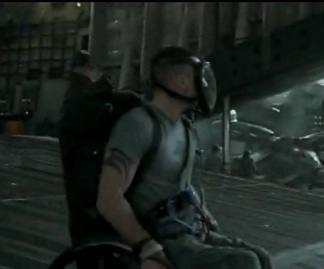 I know James Cameron is capable of making movies that are both visually stunning and engaging. I hope he’ll do a better job next time. Thanks again for your great comment! Had to sit through part of a re-run of Avatar the other night. I agree with your analysis about 115%. Also, agree with the previous comment from Patrick on Pocahontas. It’s really, REALLY similar in places. How To Train Your Dragon is definitely one of my Desert Island Movies. I’d be using the Avatar DVD as fishing lure. Or a fancy drinks coaster, depending on my desert island! Thank you so much for your comment. I actually thought of comparing Avatar to Ernest Goes to Camp. That movie is a total guilty pleasure of mine. I loved it as a kid. And it has the SAME plot as Avatar. I think it’s even closer than Pocahontas. Seriously, you should check it out. Your ideas on what to do with Avatar DVDs made me chuckle. It’s so ironic that a movie that touts environmentalism so much was made possible thanks to cutting-edge technology, and its DVDs and cases were produced by evil corporate entities that are only in it for the money. Give me a break, James Cameron. You can’t deride capitalism and then makes millions of dollars off it without someone crying foul. I agree with much of what you say about How to Train Your Dragon, but I feel you have missed so much in Avatar. However, Hiccup is a social misfit who does learn an important lesson about bravery. Just not the one it looks like at the beginning of the movie. In Avatar, the aliens are the Na’vi, the apostrophe is important. OK, so Sam Worthington’s acting was never going to win a Oscar, but once you realize Jake is still coming to terms with his past, and secretly trying to stay the right side of a nervous breakdown (can we say PTSD? ), his performance is a little more realistic. I’ve known more that one messed up vet, he’s not really so very far off. What is oh so easily missed, is a single line of dialogue that speaks volumes and explains so much about him. What horrors Jake was party to are never expanded upon, but it looks like Jake is in some way responsible for the deaths of a child, or children. It looks like the guilt has caused deep seated psychological damage. Take this together with another of his lines. You now have his feelings on the war that changed him physically, mentally and emotionally. The base was under more of a constant attack in the original script, everything but the arrows in the truck tires was cut to save running time. However, you are right that it’s slow paced in places, it’s more than 30 minutes in that we see Neytiri and 35 before her first line. If you think Jake has little to loose, think again, his physical safety is assured as you say, but it’s his mind that’s at risk. If you watch Jake’s fight at the beginning of the extended edition, and what happens after, he’s unstable. On top of which, he has to deal with the grief of loosing his identical twin brother, a stupid, pointless, empty death. If this messed up puppy had to deal with all that, the loss of Neytiri, his powerlessness to save her life and those not only of her entire family but the whole clan. Even with his legs fixed, how long before he ended up loosing it completely, and taking his own life? It is not the forest beyond the Hell’s Gate fence that contains his ultimate nemesis, it is the monster we all have inside us all, the one from which we can never escape. Ourselves. This is the true, insidious and very real danger that confronts Jake Sully. Also, have you ever noticed that not only do many films have very similar stories to Avatar (eg, Fern Gully, Dances with Wolves, Dune, Star Wars episode 4, Star Wars episode 1, Pocahontas, etc, etc, etc), they also very similar to each other? And did you know, Pocahontas was a real person? Disney may have tweaked it a bit, but it’s based on a true story, not a fairy tale. Thank you for sharing all of this. Maybe I was overly harsh on Avatar. I only watched it once, but it felt so completely underwhelming compared to James Cameron’s other films that I couldn’t help being disappointed by it. I only watched it once and I don’t think I’ll be able to watch it again. But I am glad that there is some subtext that I missed that actually explains Sully’s motivations. Avatar’s other major story problems are just too insurmountable for me to really like this movie. Hopefully the sequels will be better.